Oriental fountain grass 'Tall tails’ (Pennisetum orientale 'Tall tails'): growing, planting, caring. A pretty large and hardy cultivar of fountaingrass. 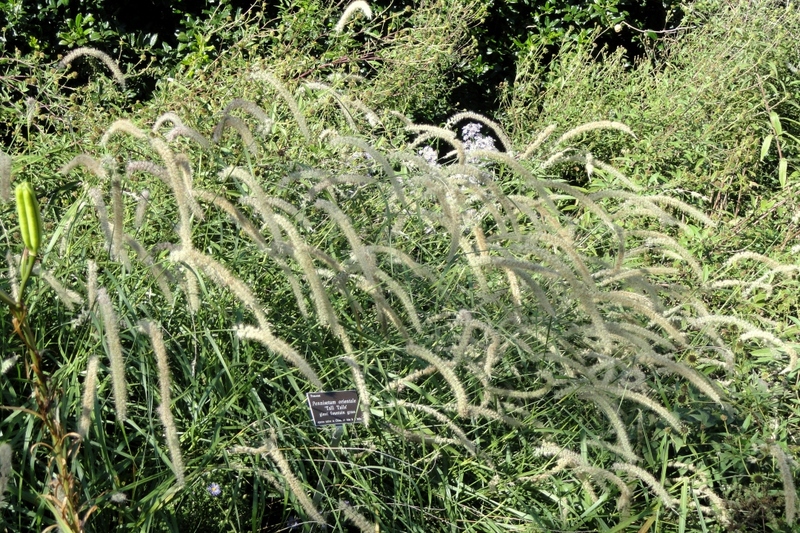 Full description for Pennisetum orientale 'Tall tails' not yet available. Plant your fountain grass in the sun or possibly in semi-shade in neutral to alkaline soil, rich and draining, from February to April and from September to November. Prepare the soil by a light digging (to decompact without necessarily turning it, with a pitchfork or a broadfork), a scratching and a raking. Plant keeping a spacing of once the final height if you want the clumps to appear separated, and half if you want a mass effect. Water thoroughly after planting. - In pots, plant in a mixture of compost, loam and sand, in a container pierced at the bottom, and equipped with a cup. Propagate by dividing the rootball in March. Mulch your fountain grass, it will prevent you from watering, weeding, and protect from cold winter. It can even provide a slight fertilization on the ground by decomposing. To choose, know that dry crushed wood is the most inert, but it will hold longer. Fresh crushed wood and leaves enrich the soil even more, but need to be renewed more often. Grass clippings are to be used in a layer of 1 cm maximum mixed with something else. Mulch at least 5 cm thick for good efficiency. This operation is important for pennisetum: cut all the dry foliage at the beginning or at the end of winter, to leave room and light for the new leaves that will emerge in spring.